Online help search is back! 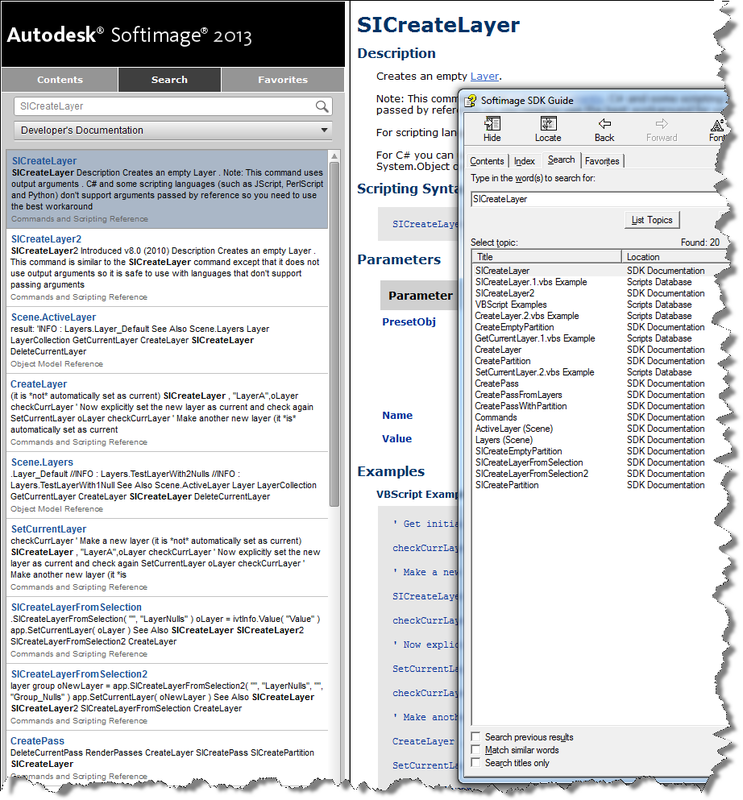 The Search tab is working again for the online Softimage documentation. Previously it wasn’t returning many hits for the SDK searches. Here’s the search results for “SICreateLayer”, both in the browser and, for comparison, with the old CHM search. This entry was posted in News and tagged help, SDK, search, Softimage by xsisupport. Bookmark the permalink. No, fixing the search was more a configuration change, with no doc update required. I don’t know if there will ever be doc updates for a Service Pack. Ideally, however, doc dev should become more agile to match up with code dev. I’ve heard some talk about that but I don’t know how it is going for the doc teams.